If you want to back up a single disk, for example, disk C:, see this article. 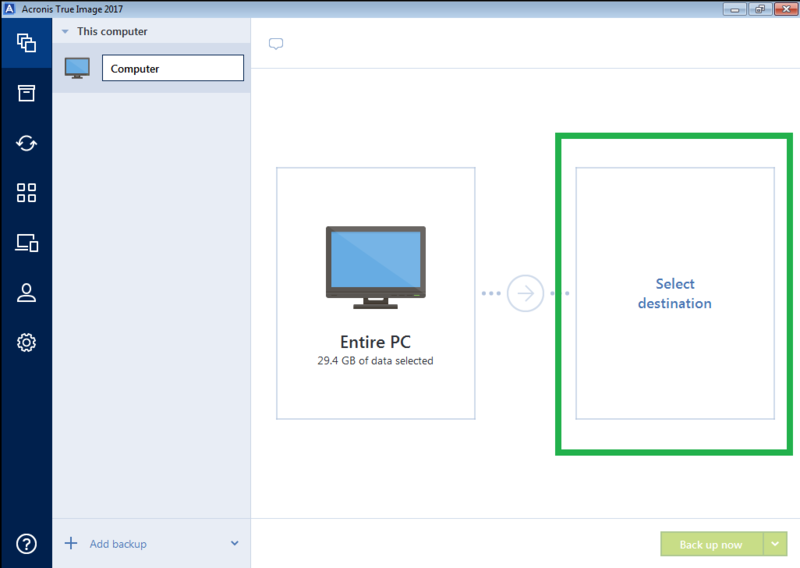 You need Acronis True Image subscription to be able to back up to Acronis Cloud. For example, set how long the backups should be kept. If you need help installing and configuring Acronis True Image, you can order Initial Setup Service. Acronis Initial Setup Service allows you to schedule a live 1:1 phone call and a remote desktop session with a priority support engineer. During this call you will get personalized help installing Acronis True Image, guiding you through the product options and configuring a backup plan to best meet your needs. Please note that in order to use the service, you need to have already purchased Acronis True Image 2018 (any edition). The service is not available for trial versions of the product.